In the twentieth century many modes of photographic representation emerged  the dispassionate and the passionate, the detached and the committed, the formal and the accidental. While each of these contrary modes has its logic and its brilliant practitioners, it remains true, I think, that important photographic portraiture is characterised by engagement and feeling. Banduk Marika, Juno Gemes, Wandjuk Marika. Paddington Town Hall, Sydney 1982. This book attests to Juno Gemess engagement with the people who make up the Movement. This term  the Movement  is non-specific; its very ambiguity expresses the multi-faceted nature of the political and cultural struggles of Aboriginal people in Australia. The Movement is primarily about land rights, but land rights have never been an end in themselves. In Aboriginal communities, land is central to cultural survival in all its forms. Yet the Movement is expressed in many different ways  in poetry, plays and films; in political activism and in legal advocacy; in marches and demonstrations; through art and dance; through language, through ceremony and through the passing on of knowledge. 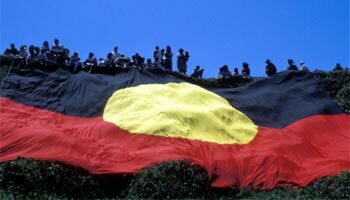 Over the past thirty years the Movement has achieved significant public expression  such as at the Uluru Handback in 1985 or during the Bicentenary in 1988. On many of these occasions Juno Gemes has been there, with her camera and her passion. 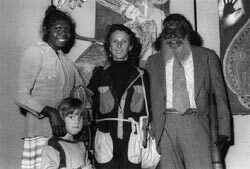 She has also captured the more day-to-day aspects of life for Indigenous Australians for whom the ideals of the Movement create a background, an aspiration and an alternative to spiritual and material poverty. Trust is the most important ingredient in the work of any artist who sets out to represent society in portraiture. Trust is self-evident in Juno Gemess photographic portraits. In fact that element attracted me to her work when I first experienced it and led me to vigorously support its exhibition at the National Portrait Gallery in partnership with the Macquarie University Gallery. This is true and valuable portraiture. It is strong, inflected and meaningful. Juno Gemess archive is a vast reservoir of images and the portraits illustrated here are a sub-set of this wider project. Yet when brought together and distilled  as they are in this book  the portraits highlight the essentially human nature of the Movement. Politics are activities expressed by people, they are never ideas in the abstract; whether they are the public politics of statements made to enquiries and political forums, or the personal politics of writing or painting ones own story, political messages are delivered by committed people. It is the carriers of these messages that Juno Gemes has connected with  people in many different circumstances and settings, people of all ages, with individual life stories delivering their important messages.